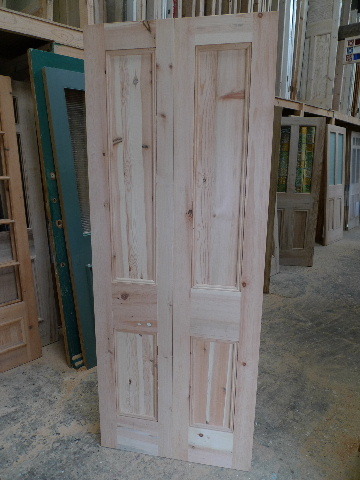 A well crafted pair of doors made from reclaimed pine .These doors are well made using traditional mortice and tenon joints. Ideal if you have a small opening as are only 30 inches wide overall . Depth : 1 3/4 inches .